The First Battle of Guararapes was fought during the Dutch-Portuguese War. The Dutch wanted to capture part of the Portuguese colony of Brazil. The battle resulted in Portuguese victory. Its anniversary was declared as the official holiday of the Brazilian Army because it was the first battle that involved the participation of Brazilian Colonial Forces. The Brazilian Army in its modern form was created during the War of Independence of Brazil in the early 1820s. Throughout its existence, it have participated in several international armed conflicts, mainly in South America, and several United Nations peacekeeping missions. 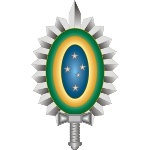 Currently, the Brazilian Army has about 220,000 active and over 1,800,000 reserve personnel. Brazilian Army Day was established to celebrate the country's land force, praise the Brazilian patriotic spirit, and raise awareness of the importance of the Brazilian Armed Forces. It is celebrated with various events held across the country. Besides, Brazilians celebrate Soldier's Day on August 25.